As a leading fine gold jewelry online store from Thailand, AmuletJewel.com is built on the idea of selling real jewelry online at the lowest prices on the web. We offer a huge selection of high karat gold jewellery (high carat jewelry), such as 18k jewelry (75.0%), 23k jewelry (96.5%), and Thai Baht jewelry (Baht jewelry).Should you are looking for 22k jewelry (91.6%) or 24k jewelry (99.0%), our quality cheap 23 karat jewelry is the best replacement for them. 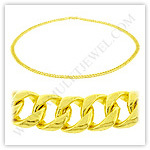 Our quality cheap jewelry is offered in chains, necklaces, pendants, bracelets, earrings, and rings. We also offer a huge selection of religious jewelry such as Thai amulets, Buddha amulets, and more. All of our quality cheap jewelry comes directly from our skilled craftsmen and quality local manufacturers in Thailand. We carefully polish and inspect every piece of our jewelry to meet our high quality standards before packing in a nice jewelry box for delivery. Our jewelry can be special gifts or Asian exotic gifts for your lovers, families, friends, or even yourself. 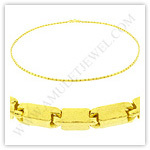 ► A huge selection of real fine gold jewellery from Thailand with true product details and images. ► Shop online 24 hours a day & 7 days a week with no minimum order required. ► Buy direct from the source, so save your time and money with discounts. 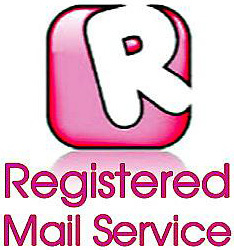 ► Ship worldwide at low shipping cost via RMS, EMS, FedEx with a shipping insurance opiton. ► Accept credit cards and more via PayPal, accept a bank wire transfer with 5% discount. ► 30-day return guarantee, Lifetime guarantee, Low price guarantee for all jewelry items. ► Quick reply via email in 24 hours with friendly customer service. "Like a kid on Christmas Day, I remember holding the small red box in my hands for the very first time. I had been tracking my order day in and day out, eagerly anticipating the day the UPS guy would knock on my door. Finally, it arrived – three days later. As I slowly opened the red box, the most lustrous and deep yellow gold I've ever seen in my life effaced every single thought in my mind. Time just ... froze. I stood there in awe, ensorcelled without a word or thought. The powerful 1 baht Dragon ring was exactly where it had to be. If you are looking for exotic gold jewelry, buy Thai baht gold from AmuletJewel.com. Worried about a safe transaction? Look no further – I gave them a shot and here I am today, buying more gold from them and even writing a review! AmuletJewel.com and their very nice, professional staff will go the extra mile to ensure you know exactly what you're buying and that you always receive your order on time. Hands down, I have never seen such beautiful and exotic pieces of real, solid gold. Thank you Pongkiat." When you are shopping online at AmuletJewel.com, you are buying a quality affordable gold jewellery directly from the sources in Thailand. We ship worldwide via FedEx, EMS, and RMS with a shipping insurance option to protect your shipments. We accept your payments with credit cards & more via PayPal. We also accept your payment via a Bank Wire Transfer with a 5% discount. We offer you a 30-day return guarantee and a lifetime guarantee to ensure the quality of our fine jewellery.